Back in November, Firefox made waves when they announced they would switch their default browser from Google to Yahoo. Though this change was unlikely to dramatically affect the market shares of any of the popular search engines, the move could change the balance at least a little. It has been enough time to see the long term effect of the actions, early data suggests that Yahoo may only be benefiting a little from the arrangement. This preliminary data is based on analysis of Firefox search data when segmented by browser type. The change to Yahoo as the default browser happened when Firefox made version 34 available for download or update. By analyzing the data from Firefox 34, it’s possible to learn a lot about what has happened as a result of the change. Thus far, the adoption of the new browser update has been less than total. The update first became available on Dec. 1, but use of the updated browser didn’t dramatically increase until halfway through the month. According to data reported by SearchEngineLand, Firefox 34’s share of all U.S. Firefox clicks jumped from about 9 percent to 67 percent during the second week of December. It only moved up a little more for the rest of the month. At the end of the year, Firefox 34 accounted for about 76 percent of U.S. Firefox paid search clicks. These rates will continue to rise as the last quarter of Firefox users make the switch to the updated browser. The windfall for Yahoo has been substantial, but the rates haven’t been exactly in line with adoption rate of Firefox 34. Yahoo’s share of U.S. Firefox traffic rose by 250 percent in December. They started the month at about a 12 percent share of Firefox traffic and ended the month at 30 percent. Since some of the paid search clicks come from Bing and Google partner ads, there’s about 10 percent of traffic that wasn’t affected by the change. The bigger issue is that many users have switched their search provider back to Google on the updated Firefox browser. 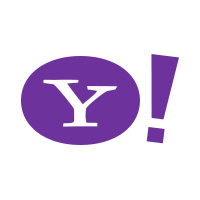 At the start of December, Yahoo accounted for about 25 percent of Firefox’s paid search clicks. This peaked at 43 percent on December 10th but since then, there has been a gradual but continual loss of market share to Google when users switchback. Yahoo’s share of Firefox 34 clicks ended the year at about 36 percent. For marketers and advertisers, it’s good that people are choosing to keep Google as their search provider on Firefox. Though it’s easy to run ads on any search platform, ads Google shown on Google have better click through rates and conversion rates. This is due to some of the unique features of Google AdWords and Google’s heavy use of Product Listing Ads. The other ad platform are working on similar features, but until they are up to par with Google, it’s best to get as many impressions on Google as possible. Though the effects aren’t dramatic, the Yahoo-Firefox deal is still good news for Yahoo. Yahoo is most likely less concerned with trying to dethrone Google as they are with increasing their revenue. If the increased share of paid search clicks is any indication, Yahoo will see higher revenue from Firefox than in the past. For more news about Yahoo, read this article with seven stats from 2014 that show Yahoo is still relevant.